Christmas Comes Early Thanks to Lapstone & Hammer! 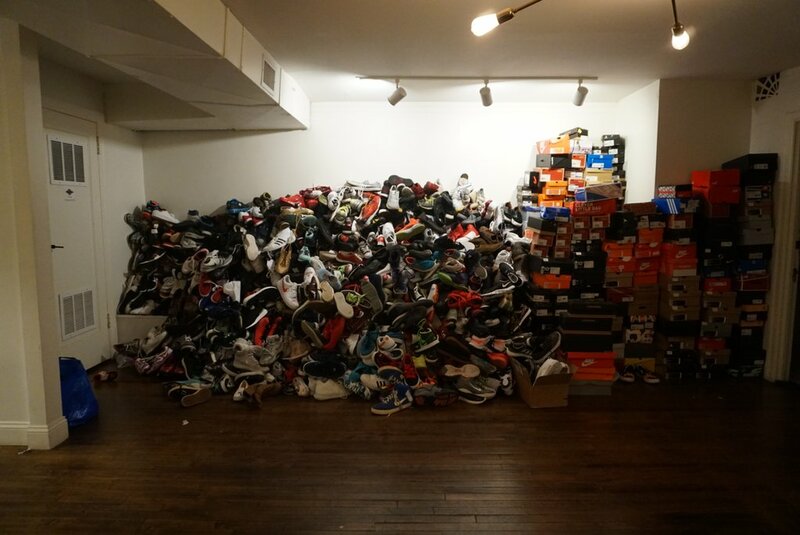 This October Lapstone & Hammer, a local clothing boutique and Converse partnered together for a charity shoe drive. Their shoe drive was a hit and they successfully collected over 1,000 pair of shoes in just three days. Lapstone & Hammer chose BSM (along with Cradles to Crayons and Project HOME) to be a recipient of some of the shoes that were collected so that we can continue to provide hope to our guests this season. 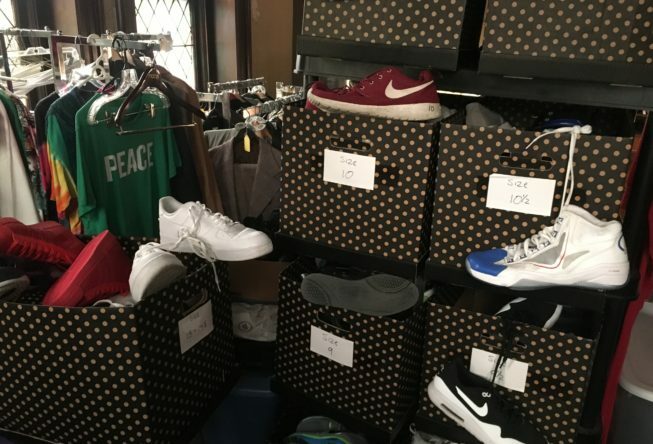 Check out their blog post to learn more about the shoe drive. We are absolutely blown away by the magnitude of this donation. Durable, high-quality shoes are always in demand at BSM, but during the winter months it is especially crucial for the well-being of our guests. 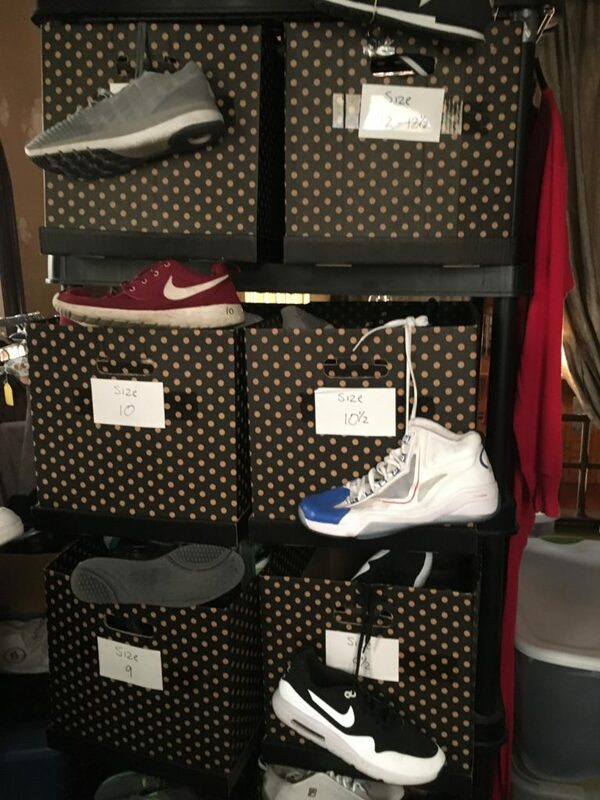 As we opened the boxes and found gently used or new sneakers in all sizes it was like Christmas morning! 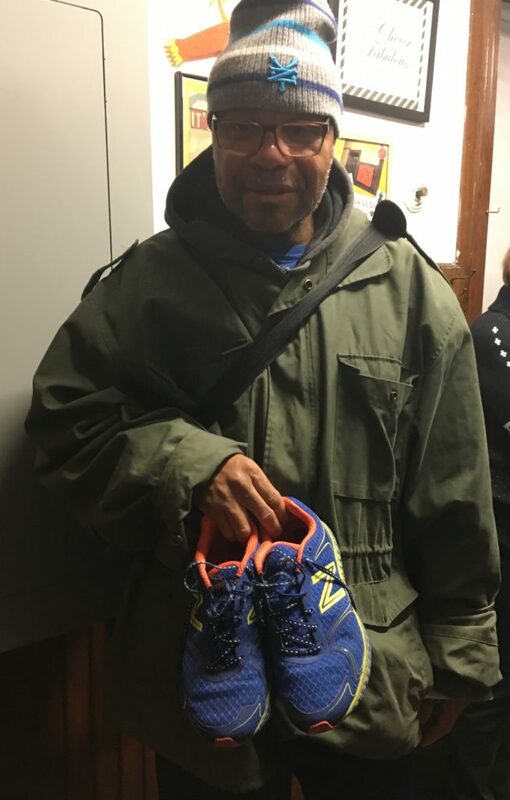 As the weather gets colder it is truly a blessing to be able to say, “Yes…we have that!” when a guest comes to us with shoes with holes requesting a new pair. This donation will have a huge positive impact for months. 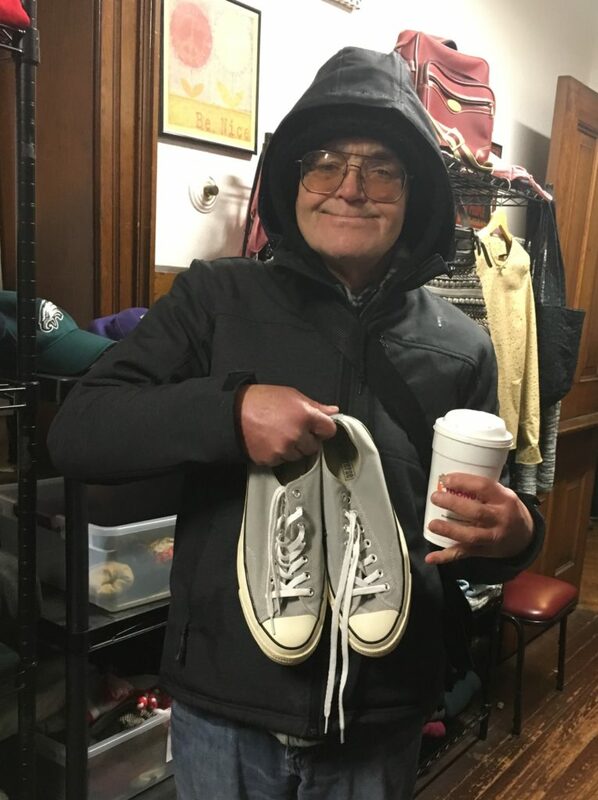 Thank you on behalf of the many feet you will have helped to keep warm! A couple of our guests pose with their stylish new shoes! Our storage bins are overflowing with shoes! 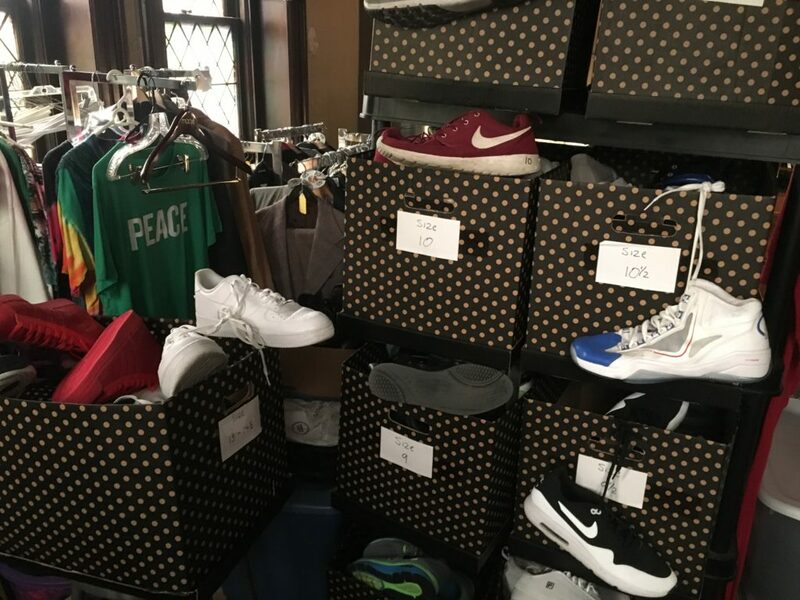 We are grateful to everyone who participated in the shoe drive, and we are grateful to Lapstone & Hammer for selecting Broad Street Ministry to receive this amazing donation.